Have you just started a new exercise plan, or increased the intensity of your existing exercise, or started a new running regimen, or recently joined an intense workout group or the military? If you meet any of these criteria, and you’re experiencing pain and swelling in your shins, you may have a condition commonly known as shin splints. Caused by the strain of overuse, shin splints are painful, but they also can be prevented. Call the Podiatry Institute of Southern California, Culver City, California, today to make an appointment with Dr. Albert Nejat, or make an appointment online. Shin splints is the name given to pain that occurs along the tibia, or shin bone, and is also known as medial tibial stress syndrome. Shin splints often occur in people who’ve recently intensified their exercise regimen, especially runners, dancers, or military recruits. The increased activity overworks the muscles, tendons, and bone in your feet and legs, causing the pain that typifies shin splints. If you have shin splints, you’ll probably notice tenderness or pain along the inside of your shin. You may also experience some minor swelling. In the early stages of shin splints, this pain typically only occurs during exercise and stops as soon as you finish your activity. However, as the condition progresses, it may start hurting even when you’re not exercising. If left unchecked, it can lead to a stress reaction or even a stress fracture. If you’re experiencing the pain and swelling of shin splints, don’t run the risk of a fracture or further complications, call the Podiatry Institute of Southern California today. Who is most at risk of shin splints? If you’ve had shin splints before, you may be at greater risk to suffer from them again. The only way to ease the pain of shin splints is to rest and ice the affected areas allowing them time to heal. If you need to exercise while you heal, try low-impact workouts, like swimming. Preventing shin splints is a much more effective strategy than treating them. 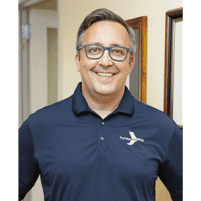 Dr. Nejat can explain techniques to avoid shin splints, and help you find a shoe or orthotic that will provide your feet and legs the individualized support they need. Dr. Nejat also evaluates if any hyperpronation or other condition is contributing to your shin splints, and help you adjust your training schedule to prevent future re-injury. If you’re suffering from shin splints, there’s no reason to suffer through them on your own. Call the Podiatry Institute of Southern California today, or make an appointment online and start healing today.